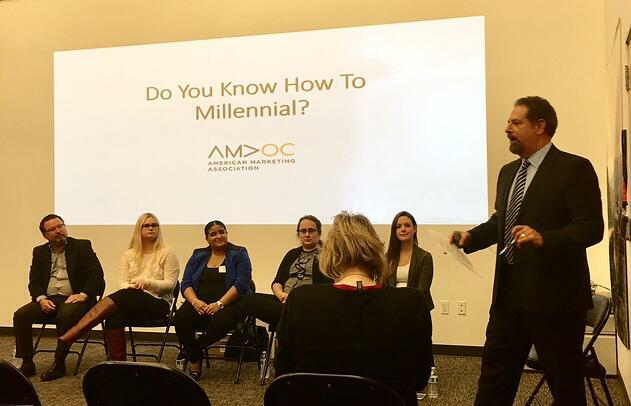 Secrets to Marketing to the Younger Generation: Recap of OCAMA Event, "Do You Know How-To-Millennial?" My number one observation while watching the panel take their seats at the Orange County American Marketing Association (OCAMA) event, "Do You Know How-to-Millenial?" is the fact that 4 out of 6 of the experts were millennials. Who's best to speak on behalf of marketing to millennials than millennials themselves? 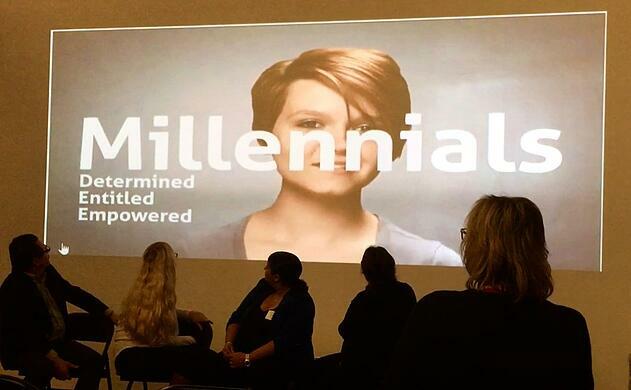 I was fascinated with such a young group of experts explaining to an older audience of Baby Boomers and Generation-X marketers how to market to millennials. Angel Ponzi, Vice President of Sales & Marketing for Strategic Marketing Intelligence got the event rolling by introducing the group and even offered his own insight well into the event. The panel consisted of Dr. Chip Espinoza, PH.D., an Academic Director at Concordia University and a noted author who has studied millennials for years. Briana Betz, a Corporate Communications intern at Dahua Technologies. Dimple Thakkar who is the CEO of one of the top social media marketing agencies in Los Angeles, SYNHERGY. Audrey Nelepovitz, known as the Vice President of Communications and Elected President for the American Marketing Association of Orange County stole the show. Juliane Eger, who is a Marketing and Communications intern for Motorcyle Industry Council, wasn't afraid to pull her weight when sharing marketing advice. All of the panelists, including the interns that my co-worker and I were a bit skeptical about receiving marketing advice from, actually offered valuable insight and advice covering topics from social media marketing to the psychology of how millennials think when purchasing a product or service. So, for businesses out there targeting a younger audience, listen up! The secret to marketing to a millennial begins with understanding them. Below are highlights and a recap of the event, including several facts and pointers of how to market to millennials. <<Seeking a graphic design studio for your marketing and advertising? Our very own social media coordinator expert, Shruti Kapadia gives her take on the event and marketing to millennials. What do you take away from this event and is there anything you would have wanted them to cover? Since, I am a millennial myself it was easy to get into the shoes of the speakers and relate to their stories and experiences. I think such events are great for discovering what we know and what others in the industry know about the market and to get their insights on things, which otherwise would go unnoticed. Having said that, I was looking forward to a more strategic or detailed approach to how to tackle the issue of communicating with millennials and market our brands effectively. I am still looking forward to attending more events with the American Marketing Association of Orange County. What are some stereotypes or myths that you would like to put to rest when marketing to a millennial? I have a few myths that people have assumed when it comes to millennials and how you can break the stereotype so you can market to them. 1] We are not as technology friendly as Generation-X might think we are. We are technology dependent. We are surrounded by technology, but we don't know how technology works. We only know how to use it. So, marketing to a millennial from an older generation standpoint the idea is to get into our mind by believing what we believe, speak our language and tell us that you accept our differences and we'll connect with you. 2] Just telling a millennial, "we have a great product; buy it" is not going to guarantee sales or even engagement. We have to convince them that they need it. They have to connect with your brand in order to be a part of it. I think marketing today is getting more and more personal and in depth and if we have to come out and emerge as a different player. We ought to be willing to take the plunge. At the end of the day marketers today will need to continue to research and learn to adapt to marketing to millennials as well as future generations. Remember, focus on figuring out what millennials respond to.